Home » Our Blog - Punta Cana Secrets » Special offers in Punta Cana » Punta Cana Villas Specials-HOT OFFERS! Everything Punta Cana has something incredible for you! We really want your holiday in the sunny Dominican Republic to be unforgettable and exciting! Villas are suitable for both romantic lovers vacation and for a large family or a fun group of friends. 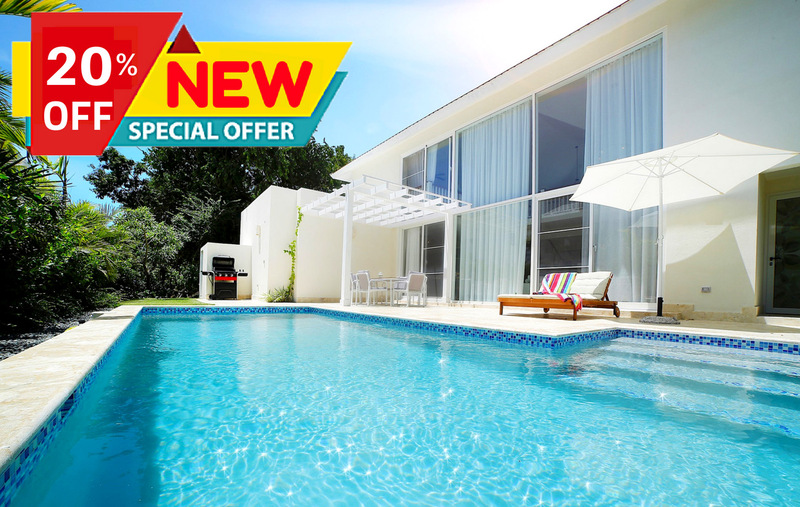 Therefore we hasten to inform you about Punta Cana Villas Specials! Thus, click on the links below and choose the villa that suits you! Would you like to master your golf skills, enjoy breathtaking views or relax in a huge swimming pool near to beaches, restaurants and the Sol Melia’s Palma Real shopping center? 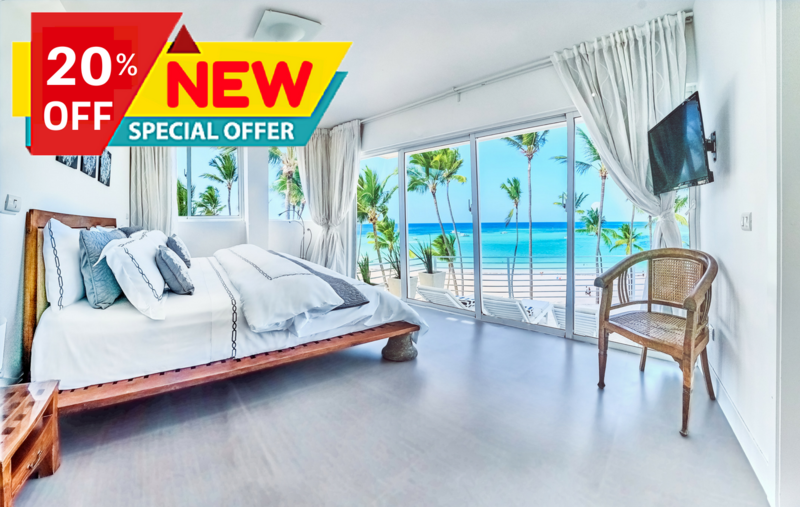 Then, book this luxury 5-bedroom one with a modern design and wonderful view, one of the best villas in Punta Cana, located in a quiet environment of world famous Cocotal Golf & Country Club at a very attractive price – 20% OFF right now! You can also book this apartment with Airbnb , Booking.com , HomeAway , TripAdvisor and you can watch the video! Enjoy your stay at this Punta Cana condo with a huge swimming pool, near the beaches, shops and restaurants. One of Punta Cana specials locatedright at Cocotal Golf Club! If you care about your rest, your family’s safety and well-secured place – you are in the right place! We have a HOT OFFER for you! Follow the link, book one of Punta Cana villas specials and get 20% OFF ! You can also book this apartment with Airbnb , Booking.com , TripAdvisor and you can watch the video! Enjoy spectacular ocean views with pristine sea breeze from every room of this tranquil 4BR Punta Cana Beach Villa. Ideal for a group of up to ten people! If you dream to relish an idyllic retreat where palm trees, white sand, and aquamarine waters fill your every moment during your stay then follow the link and book the vacation of your dream with Punta Cana villas specials and get 20 OFF ! 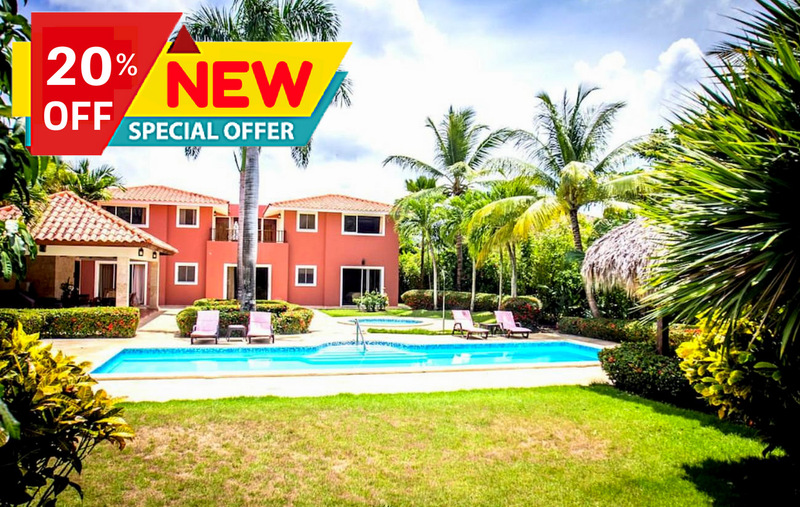 Luxury two-story 3 bedroom villa Punta Cana for families or a company of up to 10 people, with a huge pool and a cozy terrace. Spend your sunny holiday in the Dominican Republic at one of our Punta Cana villas specials together with your closed one or your family. 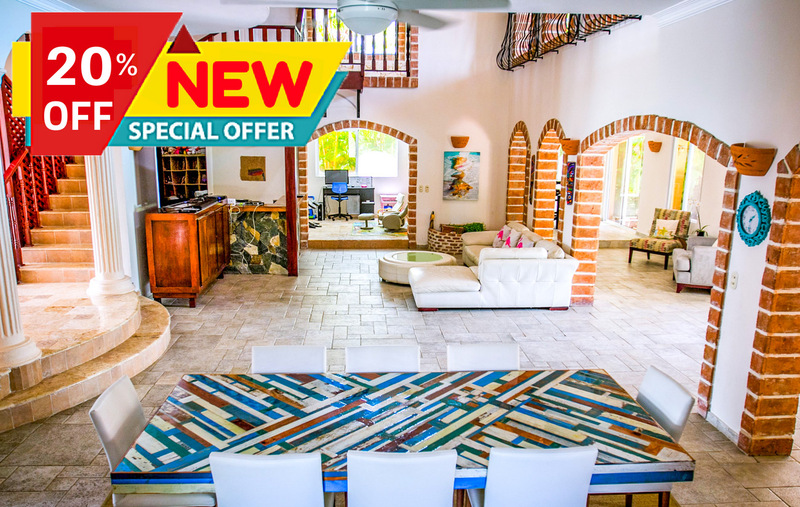 Do not miss the opportunity to book this paradise villa and spend your unforgettable vacation at a Very Pleasant Price! Follow the link and book right now! Welcome to Everything Punta Cana!